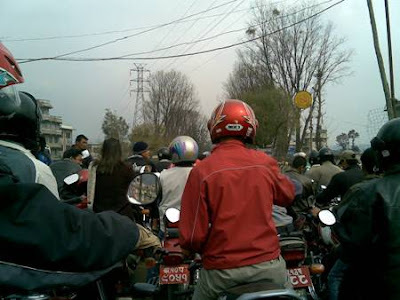 Feb 10, 2007 – In search of petrol as my motorbike’s fuel status was in critical condition I reached a petrol pump. 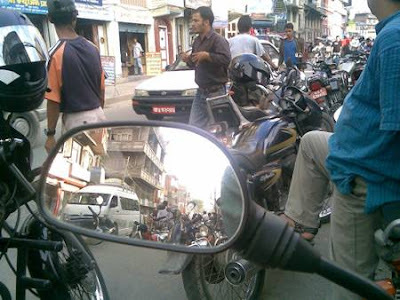 It was not a very good sight (See above picture) as at least I was behind 1 hundred or so motorbikes. After a long wait of around 2 hours I got my chance to fill valued liquid which was just enough for me for the next 2 week at the maximum. 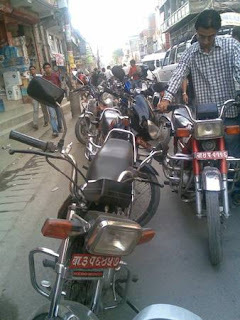 May 27, 2008 - We are in the queue of more than 2 hundred motorbikes (See above picture) for around 3 hours and there is no sign of petrol being distributed to us till now. Employees of the petrol pump argue they can’t guarantee the distribution and they don’t know when the tanker carrying the petrol to be distributed will arrive. On top of it its load shedding in that area and it’s obvious that we will get to buy the fuel only after 9 PM when the light is back so as the run the pump to put the petrol in our machines. Meanwhile, the wait still continues the tanker arrived at around 8 PM but the distribution started at around 9:15 PM and when I got my quota and was back home the clock was already striking 10:30 PM. Well after wasting around 5 and half hours the ray of hope was at least I got some petrol for the next week or so. The government I think has tried every trick in the book be it odd even numbers to give fuel, petrol diesel alternate days etc. But why isn’t there a clear plan in this shortage I don’t know. What are the responsible authorities doing for it is the biggest question? The media has highlighted this issue time and again but at the end we the common people always have to suffer. Just imagine the no. of human hours wasted in the line if there are 2 hundred people an at an average they spend 2 hours in the line 4 hundred productive hours are going waste. Who is to blame for it? 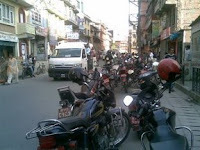 Our country and the so called would be “New Nepal” in two years or so is going through a very painful transition phase. There is shortage of everything water, electricity (we were in a state to encounter 42 hours of load shedding a week), fuel (diesel, petrol, kerosene and Air fuel) etc. The prices have skyrocketed in the past year or so and there is no sign of prices coming down. Let’s hope things get on track very soon as 1 and half years is a very long time. With the patience let’s hope and pray we’ll get all necessary amenities like fuel, water, electricity, food supplies etc as soon as possible.